We ventured on a further possibility to help by organising a “Godchild” scheme. We started the first “Godchild“ scheme in July 2004 organised by Plan International. We decided to take on Imran, a boy from Pakistan. Imran was born on the 1st January 1995 and lives with his parents and three siblings in a small village in the area of Vehari. 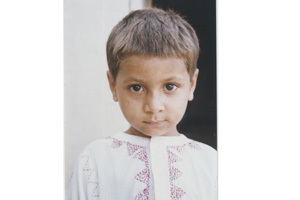 Imran is a very open boy, who loves to play football and later would like to be a teacher. Unfortunately he does not have the possibility to attend a school presently, however we are working on this. 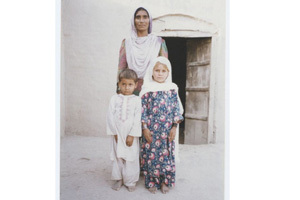 We are also trying to improve living conditions for Imran and his family. Presently they are living in a hut which has no sanitation facilities and no water.